Invisible Landscape is an installation, completed in 2006. It was shown in the Arborescence Festival and the State Museum of Pernambuco in Recife in Brazil in 2006. 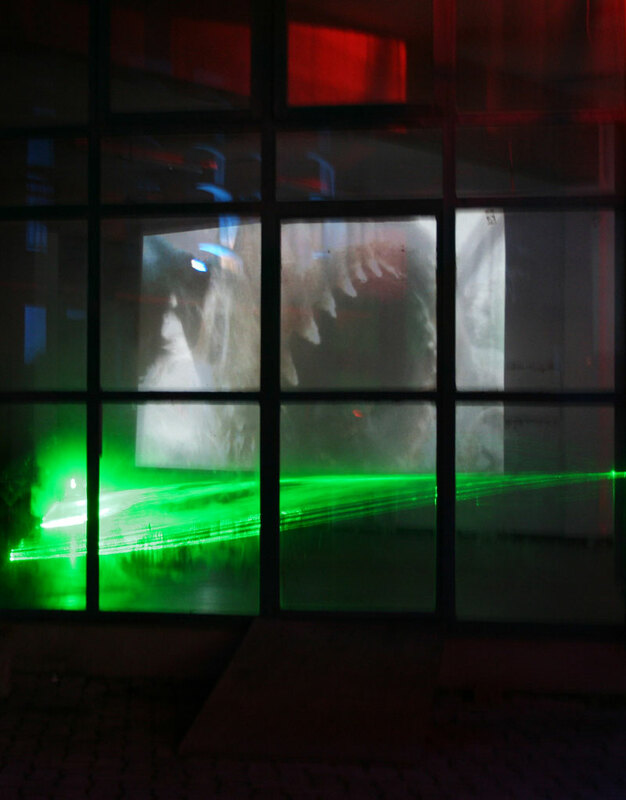 This video-laser installation plunges the audience into a frightening underwater universe. 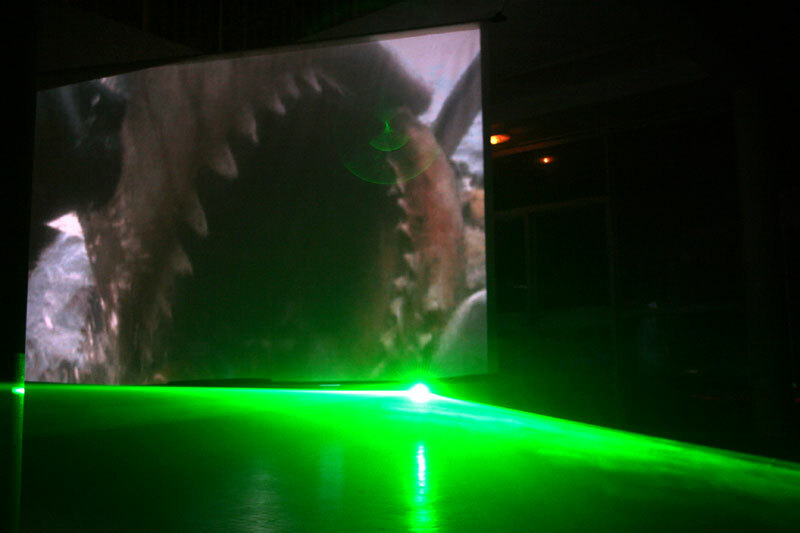 A programme cuts up and remixes extracts of a well-known film Jaws at random. 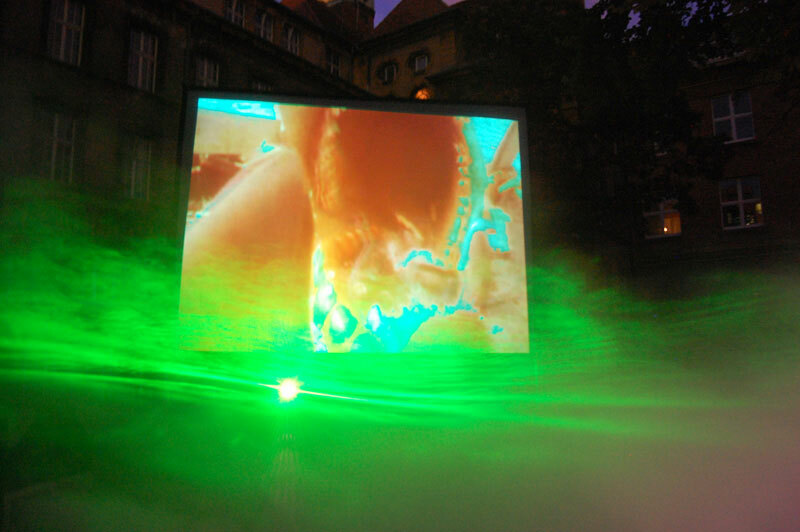 This video screening floats above a moving laser wave thus creating a strange and unreal atmosphere. It is a reflection on the industry and the aesthetics of Hollywood movies combining horror, beauty and fascination. This entry was posted on Saturday, January 19th, 2013 at 16 h 14 min and is filed under Non classé. You can follow any responses to this entry through the RSS 2.0 feed. Responses are currently closed, but you can trackback from your own site.